Provide the ultimate any-channel experience in every phase of the customer life cycle. 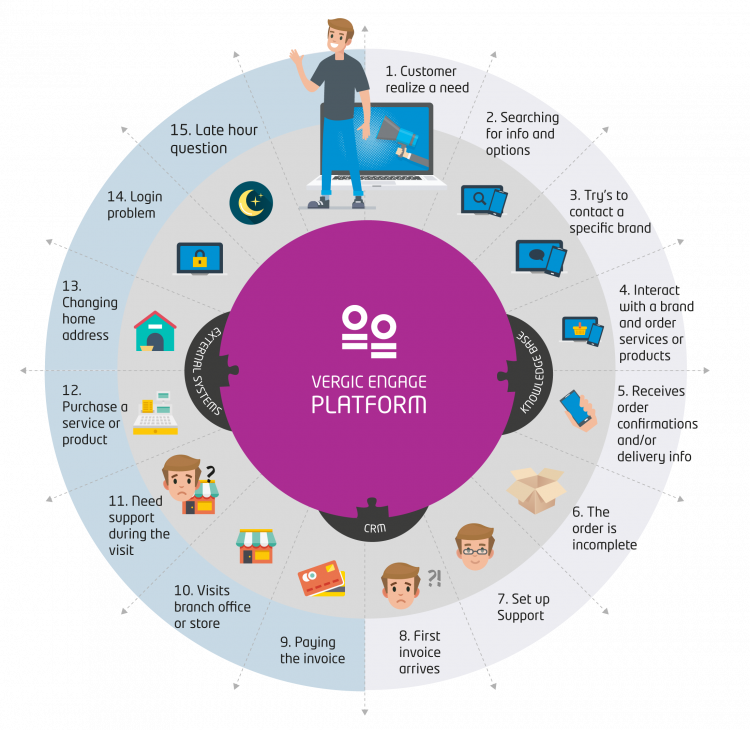 Vergic Engage Platform makes it easier for your customers to interact with you, buy more, come back, and buy again. Our platform is used for lead generation, sales conversion and customer service. Each application solution serves as the tool used by agents. It’s from within each application that all engagement with and/or communications towards the customer, a queue or the website visitor takes place. All application solutions enable queue and case management.